The $100 million Element Music Row high-rise luxury apartments in midtown Nashville opened last year, offering a generous helping of modern, upscale amenities for plugged-in professionals deep in the heart of the Country Music capital of the world. As EIMA’s EIFS in the Spotlight program continues, it shouldn’t be difficult to see why there’s reason to highlight this project. 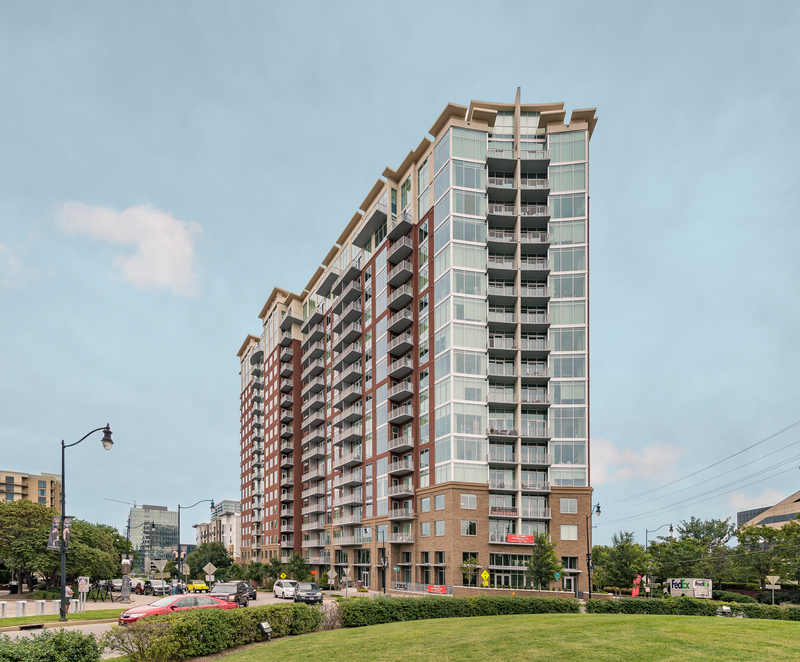 The 19-story, 431-unit building offers commanding views of downtown Nashville and easy access to all the shopping, dining and entertainment that Music Row offers just outside the apartment tower’s front door. The developers also tout the building as being an energy efficient, “green living” environment that is LEED certified. The StoTherm ci Essence – a decorative and protective exterior wall cladding that combines superior air and weather tightness with excellent thermal performance and durability – was the wall of choice at Element Music Row ensuring the building’s energy efficiency, aesthetics, and air- moisture controls. Working with Southern Wall Systems and Humphreys & Partners Architects, Sto helped incorporate a continuous exterior insulation system and a continuous air and moisture barrier with high-performance finishes to protect the new structure. The Element is located on Demonbreun (pronounced de-MUN-bree-un) Street in Nashville – an area that has become a symbol of urban revitalization for the music capital. Private development is booming in the area, and developers like Element’s Childress Klein out of Charlotte, N.C. are looking to build upscale living spaces, Class A office buildings and tourist destinations.